This was taken on the Mercer Bay Loop Track between Piha and Karekare Beaches. The Pohutukawa is New Zealand's Christmas Tree. 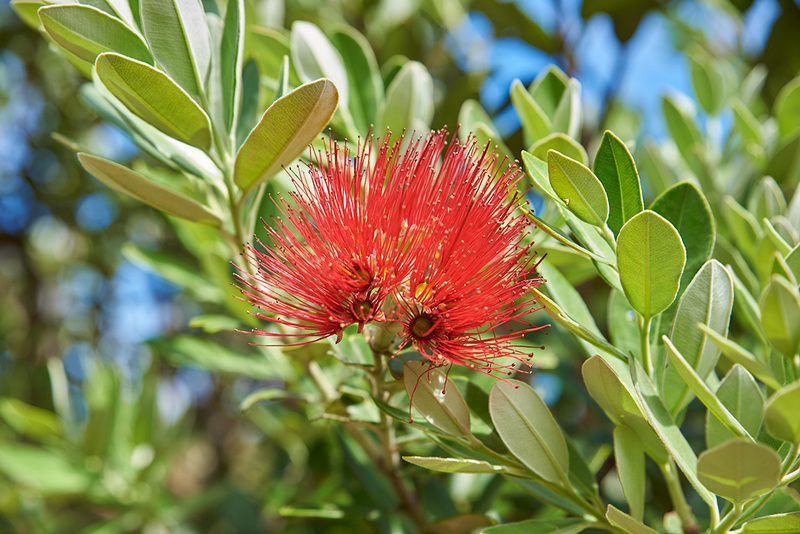 It is often said that if the Pohutukawa flowers early in the year that it will be a long hot summer.